A new exclusive trailer of PureFlix’s “The Case for Christ” was featured on USA Today February 9. The movie is named for Lee Strobel’s worldwide best-selling book and chronicles what happened when Lee’s wife, Leslie Strobel, became a Christian in 1980. As Leslie’s newfound faith combined with Lee’s hostility toward Christianity ripped their marriage apart, Lee used his investigative skills as an award-winning reporter and legal editor for the Chicago Tribune to try to disprove the claims of Christianity. His life was forever changed. Houston Baptist University receives a shout-out at the end of the feature film. Don’t miss it in theaters this Easter! 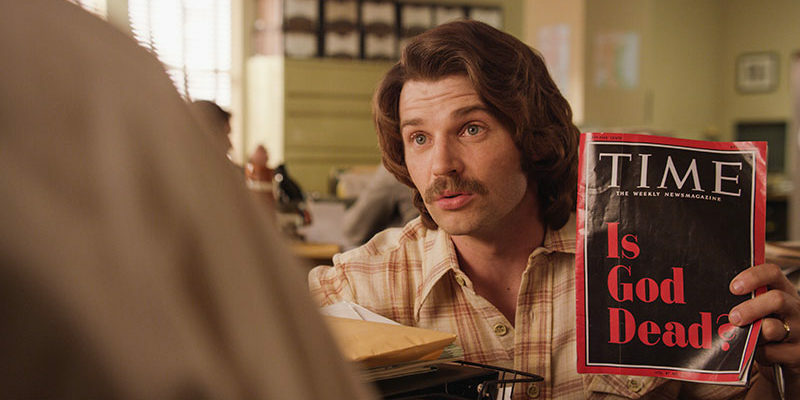 Mike Vogel from “The Help” plays Lee Strobel. Erika Christensen from “Parenthood” takes on the role of Leslie. Faye Dunaway portrays skeptic Dr. Roberta Walters, and Robert Forster plays Lee’s father. Read the article on USA Today. Coming to theaters April 7, 2017, this moving story is for everyone who has ever pondered the existence of God … and what role He could play in their lives. Lee Strobel is a faculty member at Houston Baptist University and a teaching pastor at Woodlands Church in The Woodlands, Texas.